Juniper Network’s Contrail Enterprise Multicloud gives customers options to shift to multicloud. The term multicloud is one of the more overused terms in IT circles today. At its most basic level, any customer that uses more than one cloud service could be considered multicloud. But that’s not really multicloud, that’s just using multiple clouds. True multicloud should enable businesses to use some combination of private and public clouds, but operationally it would look like a single cloud domain. There’s not one well-defined path to multicloud. In fact, there shouldn’t be. Every business is different, which means everyone needs options. Some will migrate quickly, some slowly, some will forklift upgrade hardware, and others will sweat their assets. The problem with options is that they add to complexity, and that has become public enemy number one of network operations. 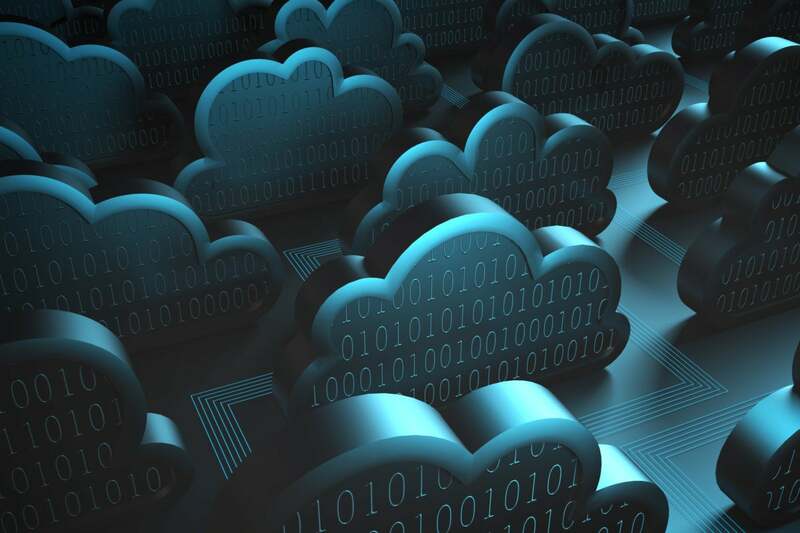 Network professionals need to worry about managing the underlay, managing overlay, maintaining policies, automating processes, and other factors to make multi-cloud a reality. What customers need is a solution that can help manage all of the required resources across the entire network — end to end — from branch to campus, to data center across the WAN and to cloud. This is the vision Juniper Networks has been working toward since it’s Contrail Multicloud launch earlier this year. At that time, the company announced several new network products to give it an end-to-end solution at the connectivity layer. 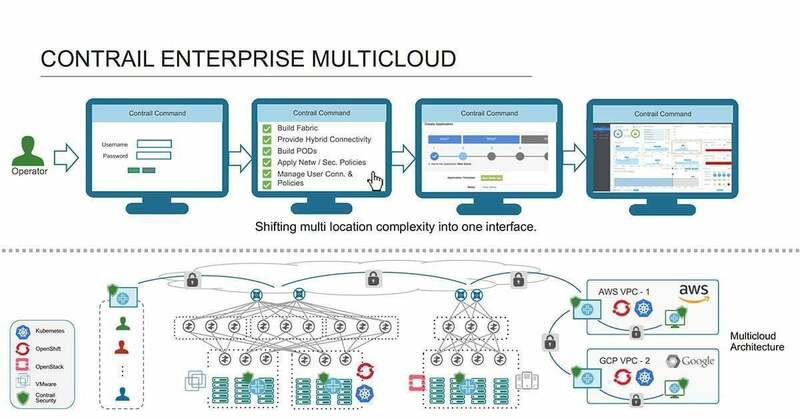 This release, called Contrail Enterprise Multicloud, is directed more “up the stack” and focuses on end-to-end visibility, security, and orchestration, so customers can utilize public and private clouds and manage the overlay and underlay as a single environment. Contrail Enterprise Multicloud enables businesses to deploy any workload (bare metal, physical, cloud, VMs, and containers) in any cloud (private, public, hybrid) in any deployment model (greenfield, brownfield, single or multi-vendor), giving customers a wide range of choices. The strength of Juniper’s solution lies in three areas. It’s an end-to-end solution spanning the entire network, it's able to manage the underlay and overlay networks, and it has multi-vendor capabilities. There’s certainly no shortage of software-defined networking (SDN) vendors on the market today, but most address only one or two of those issues. The software pure plays do not offer infrastructure and generally do not manage the underlay, end-to-end vendors typically manage only their own products, and traditional vendors focus on the physical network and not the overlay security and orchestration services. Contrail Enterprise Multicloud addresses all three. Also, Contrail Enterprise Multicloud simplifies management of public clouds through the use of a virtual router that is deployed in the cloud service. The more common way to orchestrate services in public clouds is through the cloud APIs, which might seem like the sensible thing to do, as that’s why the APIs exist. However, the APIs available in Google are different than the ones in Amazon Web Services, so the customer needs to interface with each cloud provider individually. Juniper’s virtual router is a much more elegant solution. The vRouters are deployed in the cloud provider, and the customer creates a single policy for them. The routers translate the policy into the specific language of the individual cloud providers, enabling the environment to look like one cloud. The multi-vendor capabilities are enabled through the use of the NETCONF protocol. And Contrail Enterprise Multi-cloud is managed through a graphic interface called “Contrail Command.” The controller then uses NETCONF to configure the underlying hardware, enabling it to manage almost any modernized network device from any vendor. In a pre-briefing with Juniper, Michael Bushong, vice president of enterprise and cloud marketing, told me the company took this approach because its primary focus was not to sell the underlying hardware but to be the point of control in multi-cloud deployments. This might seem like a strange approach for a company that makes most of its revenue selling routers and switches, but the company seems to understand it can’t out single vendor Cisco, but it can use Contrail Enterprise Multicloud to establish a strong position by being that top-level point of control and then eventually winning the infrastructure business when product refreshes come up. I’m often asked if I envision a day when businesses rely solely on public cloud services, and my answer to that is it may happen, but I’ll long be retired. Instead, multicloud is likely to be the norm for a long, long time. IT leaders must work towards a goal of being able to utilize multiple cloud providers and private clouds, but have them managed as a single domain. Juniper’s Contrail Enterprise Multicloud gives customers the ability to do this, but equally important, it gives customers multiple options to get there. Note: Juniper is a client of ZK Research.